Thank you for handling the bat delicately. Beautiful post and photos. We don’t often get the chance to see these marvelous creatures close up. Seabrooke, I love how you’re not afraid to handle a creature that so many people fear. And that you took such care not to disturb his/her beauty sleep. Love this post and the great photos! Yeah bats! Love your story. They are such fascinating creatures. Just about one year ago today I was part of the team at the Long Point Bird Observatory. We were staying in the old Light-keeper’s Cottage out on the tip. It was a magical experience (well maybe not the food). 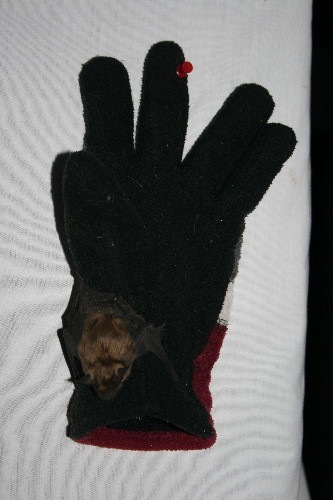 One morning going out through a little used screen door a cascade of 3 or 4 Little Brown Bats fell onto me. They had squeezed into the 1 Cm. wide gap to sleep between the top of the door and the frame. It was quite a panic as not all of them fell and had I allowed the door to close it might have killed one or two of them. We’d been briefed not to try to handle bats but one of our number had research experience and knew how to safely handle them. 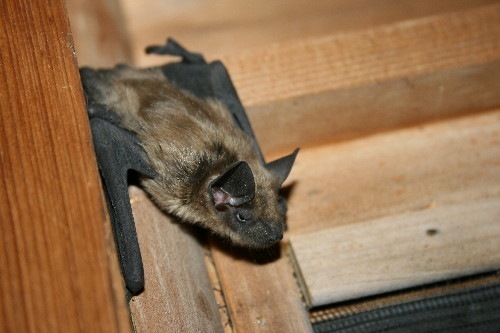 We carefully relocated them into a bat box, but they returned to the door the next night; so we just didn’t use that particular door. What fabulous pictures. I love bats and last year did an illustrated brochure on them for our local stewardship council. We borrowed an ultrasound bat locator one night and went out to see what was around our farm and woodlot. Big brown, Little brown and Hoary bats. 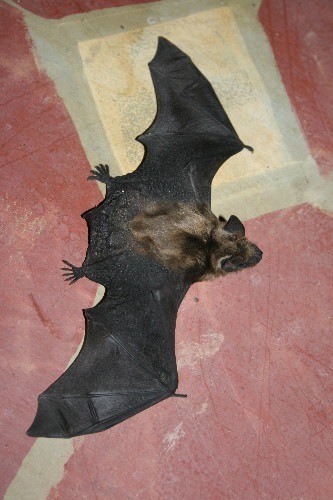 I especially like the pic of the bat spread out on the floor! Sooo interesting story, I am enjoying reading. Thanks for sharing! Thank you, Seabrooke! Excellent post. I ended up here by accident, but no problem! What a nice blog this is! Greetings from a friend of nature fron holland! So sad that you’ve quit the blog. 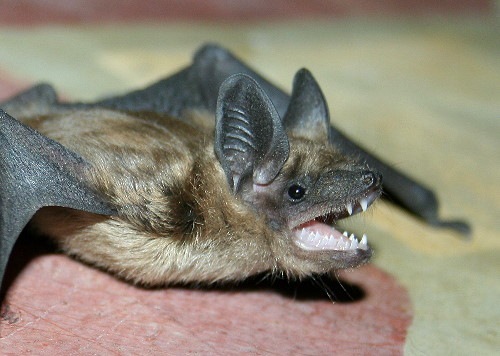 Bats are not well understood and often thought as devilish creatures of the night. They truly are vacuum cleaners of the sky. Excellent blog and wonderful pictures. 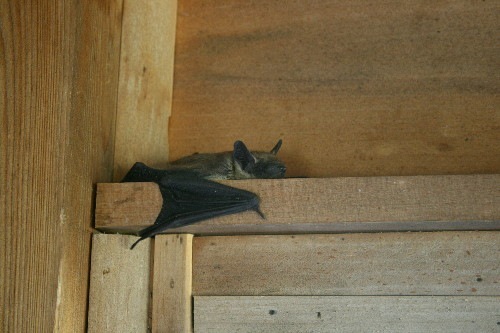 How do you know that it is a Big Brown Bat, rather than the Little? Is it the size alone?